Love my barn cats! They control the mice and voles here on the farm but once or twice a year they have a nasty encounter with a skunk or a porcupine. I can deal with that but it is the only time I wish they weren’t so ‘tough’. Barn Cat Guarding Barn. Photo by Nat. We have very good barn cats and I love them. Although they are fed and watered in the barn, they sleep everywhere – machine sheds, garage, porch, old wooden granaries, under the trucks, in the hay loft, and under certain trees. The most fascinating thing to watch them do is when they are teaching the kittens to hunt. The mother will carefully catch a rodent, to keep it alive, so the little ones can practice their skills. Some will say this is cruel but the kittens need to learn this essential survival skill. My barn cats can go up and down ladders and this seems another skill that is passed on. The cats seem to know the different between small bird species. The swallows, owls and merlins are ignored because the cats know that they are good fliers – but when a warbler or chickadee flies into a building, they are on it like a stink on a skunk. And speaking of skunks, I think they must believe that they are very smelly cats. Once or twice a year I will find a cat that has tangled with a skunk and yes, tomato juice works. Trying to give a barn cat a tomato scrub is also an event. When we have a litter of kittens, we usually keep the females – the males are more troublesome and will occasionally kill the little ones. Rarely do we find one that has been hit on the road for they seem to know this danger and treat the road as a boundary. Our closest neighbors are 3 miles to the south so we are fairly isolated from other cats coming to visit but we still manage to a have a few litters a year. But the hawks, foxes, coyotes do make meals of the cats. This almost always occurs in the open for barn cats are excellent tree climbers. A snowy winter can also thin out the group but the cats cannot travel across the snow as quick as their predators. Our cats are most valuable for rodent control – mice will chew the wiring out of any vehicle or machine. And although they cannot take down a porcupine or raccoon – two other building eating menaces – they make great mothers, enjoy our company and live very natural life. This entry was posted in barn cats, barn cats, Cat photography, Human to cat relationship, Pictures of Cats and tagged barn cats, cat photography, pictures of cats by Michael Broad. Bookmark the permalink. I so enjoyed reading about your Barn cats you have a wonderful appreciation of them yet you still let them lead the most natural life possible (albeit the blanket in the box hasn’t gone unoticed – a little helping had there perhaps?) 🙂 I also love your barn considering its 100 years old its in amazing condition but I would imagine thats due to the climate there. Thanks once again for sharing you have some wonderful cats. What a wonderful life for barn cats in that beautiful big barn I love all the pictures and reading about them. It’s sad accidents sometimes happen but I think that quality of life is much better than quantity of life and better a short happy free life than a long miserable frustrated one. I love that photo. 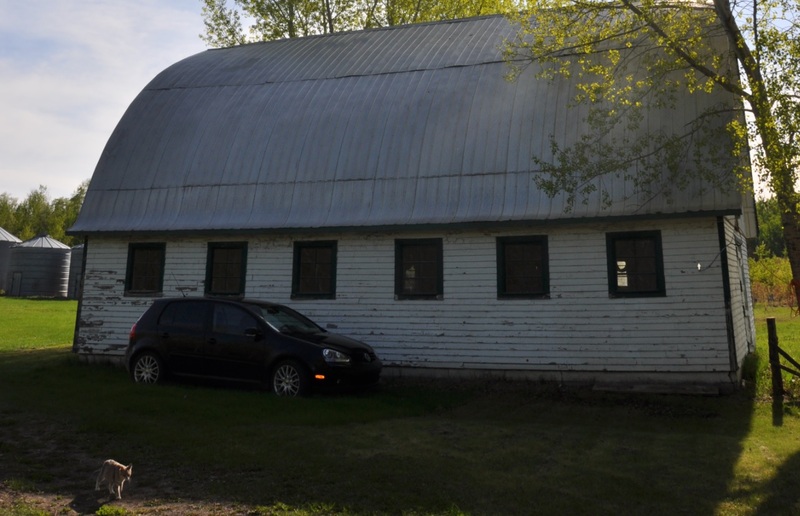 This barn is similar, although bigger, to the one a school friend’s farmer/milkman dad had. How we used to love to play in it and cuddle the kittens of the barn cats. Those cats had a really good life. I don’t know of any farms around here with barn cats now even though most people have indoor/outdoor cats, not cats kept indoors always. if that barn was in Britain it would be converted into a house. I forgot to add I think you have a very nice looking barn as well 😉 Absolute classic and very photogenic. Full of warmth and texture. 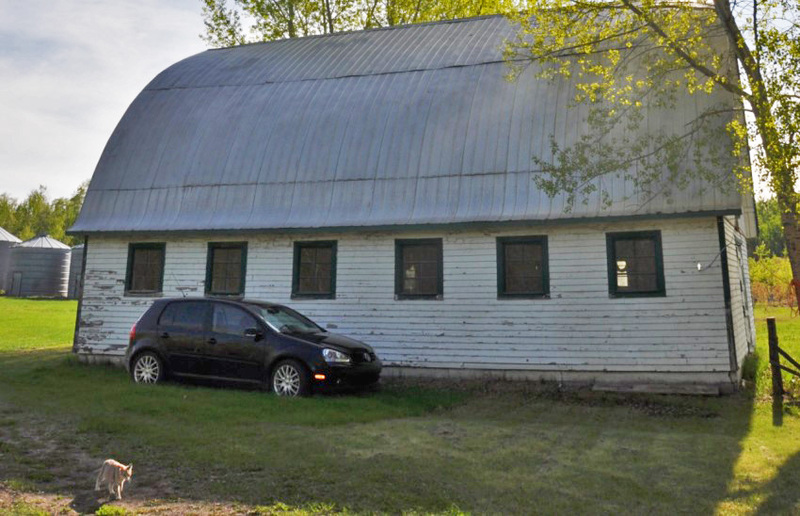 The barn is nearly 100 years old – but leaks in a few places! Gorgeous barn! I like barns as much as I like cats 😉 Here is the picture adjusted slightly. It looks like you have a Volkswagen Golf. Wow interesting article. Just one question – when you say you usually keep the females – what happens to the males? I think your cats have a very natural life as you say. Perhaps this is the best life for a cat – the most satisfying – I don’t know. We usually give the males away once they are about 6 months old. By this time they can hunt but not cause trouble with the other cats. Yes, they have a great natural life on the farm but there are predators lurking everywhere and the ever present dangers of farm machinery, old buildings and cold weather. Natalie. 6 Months is perfect in my opinion. I took my male cat Red from his familly at 6 months – he was just starting to be rejected by his mum, but not his grandma – it seemed like the perfect time for him to leave. I know they say 12 weeks but I think a little longer is better for learning life skills. His mum used to bring him live mice until he was around 5 months old and I thought it was an important part of the process. But at 6 months he was ready to leave I would say. Yes – there are dangers. As long as it’s not the road then I can come to terms with it – ok, maybe not farm machinery – but natural predaters are a part of life. Where I live the only natural danger are foxes in the very early springtime – but otherwise the cats are safe. I plane to move somewhere far from other people so my cats can be happy and live a proper life. It was nice reading about your barn cats, thank you. 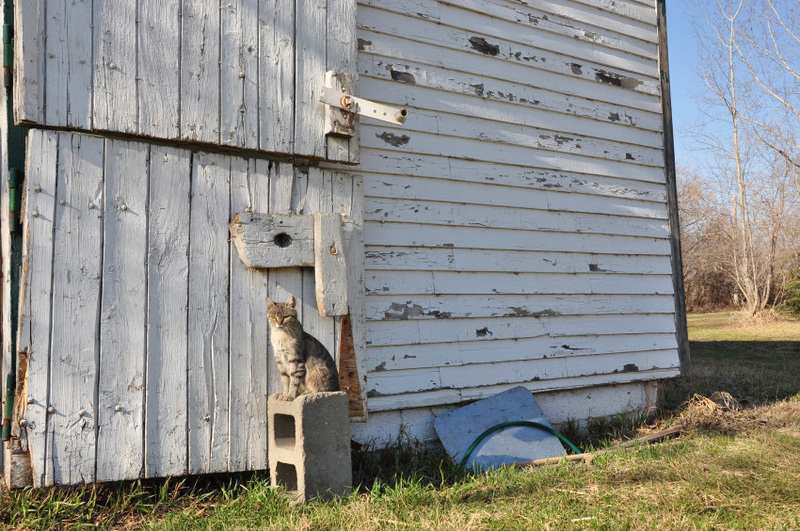 I love this article and the photos of the barn cats. I think they have a very good and natural life, far better in fact than cats who are kept strictly indoors and never have the freedom to hunt, to roll in the grass, to feel the sun on their backs and to do all the outdoor things cats enjoy and were born to do. No matter how good indoors is made for cats they miss out on the quality of life all cats deserve. Yes it can be dangerous and yes barn cats sometimes have bad things happen to them but that is Nature and cats understand that. I’d like to bet any poor sad declawed cat sitting looking longingly out of a window in the USA would be glad to swap places with a barn cat any day. Sadly I don’t know of any barn cats in our area now although many years ago local farmers always had them around. What a great slice of barn cat life. Not to mention the living withe barn cats angle. What if we filled the barns and sheds of the world with stray cats. They would feed on the rodent population and protect farms//properties from larger predators. I think it’s a fine idea. Thanks for sharing your story and photos Nat! I have always wondered why we can’t have barn cats in every barn. Wouldn’t that be a win win? There are probably unforeseen problems like relocating cats is difficult etc. but the upside seems huge. This barn looks like a classic, something out of one of the old American Western movies and the cats looks content and healthy. Thanks Nat for giving a me an idea of the wilderness and country living of America when you say that your nearest neighbour stays 3 miles away!Your cats becoming occasional meals of foxes,coyotes and hawks is normal to living in the midst of pure nature.I am from Mumbai(Bombay) the 7th most populated city on Earth which is also the only city having a wild-life national park within its boundaries housing wild leopards.Stray dogs are occasional meals of these leopards and sometimes a few instances of “Man-eating”.There is no difference between domesticated cats and their wild cousins the “Big Cats”. 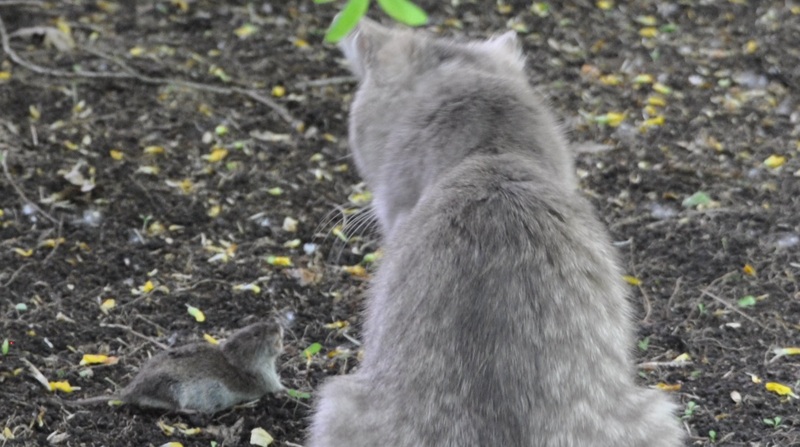 Your country cats are exhibiting the same normal predatory hunting instincts seen of the “Big Cats” in nature wild-life films or if lucky then can witness the same on a wild-life safari tour.Mice are the normal meal of a barn cat all over the World. Thanks Nat for telling us about your barn cats. Please tell us in which part of the country you reside. You take a good picture (assuming you took the photos!). These are two very nice cat photographs. I don’t think we write enough about barn cats. They are working cats and they also provide some company. Aside from the “work” they do keeping the rodent population down, you also like their presence, it seems to me. Thanks Michael. We farm in Northern Montana. 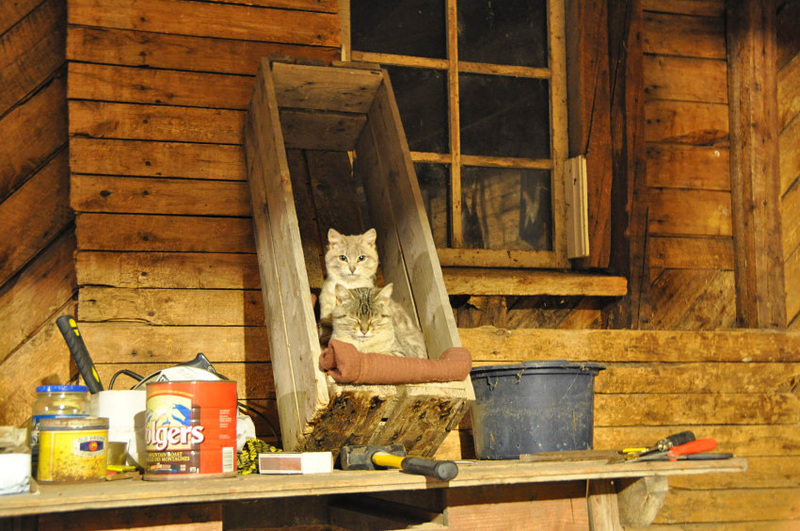 I, of course, have taken the pictures sent to you – I love recording the generations of barn cats we have here. Thanks for posting my thoughts. Your site is great and fun to surf through! Our pleasure. I am a European and Montana conjures up images of wide open spaces and beautiful countryside. A good place for a cat. You take a good photograph. Very impressed and your barn cats look great too. Handsome. Nat, this is another great picture. First class work.